On November 21, 2016, approximately 140 former players from the National Football League (NFL) filed suit in Fort Lauderdale, requesting workers’ compensation due to years of significant head injuries, alleging that many gave rise to chronic traumatic encephalopathy (CTE). CTE is a particular type of brain injury. Historically, no such compensation has been awarded, for a variety of reasons, but given the scope of the problem, a suit was brought to assess the possibility. The result may have long-term ramifications. Chronic traumatic encephalopathy (CTE) is a progressive brain condition brought on by repeated head trauma. Normally, the diagnosis is only made at autopsy, as it was not possible until recently to diagnose without close examination of specific parts of the brain. However, a diagnosis can now be provisionally made by examining symptoms and undergoing less invasive brain tests. Symptoms can include cognitive issues, aggression, emotional instability, executive function problems (difficulty carrying out tasks), and even suicidal impulses – several former NFL players, such as Eric Kramer, Junior Seau and Dave Duerson have either committed suicide or attempted suicide, and in each case CTE was either diagnosed posthumously or listed as a factor in the attempt. 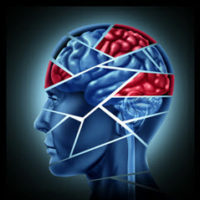 It is postulated that CTE causes nerve endings to gradually fray and atrophy, which can result in mood and personality changes, including depression and suicidality. While CTE is still being studied, most of the subjects of initial trials have been football players, and while not all subjects exposed to repeated head trauma developed CTE, many have done so. As such, the player plaintiffs contend that there is reason to label CTE an occupational hazard of playing football. Since CTE is now able to be diagnosed in living patients, the plaintiffs allege that it should be labeled an occupational hazard of the sport. Their suit alleges that the NFL had a duty as an employer to either care for or help employees care for their injuries, and failed to do so in any “medically competent or meaningful manner.” While the duty of care is somewhat different than that owed in a negligence case, an employer does owe a duty of care to ensure their employees are at least aware of occupational hazards, if not actively protected against them. This specific lawsuit is notable because a previous suit was settled in 2015, in which the NFL agreed to pay $1 billion on CTE claims, but many players were ineligible to participate. With the recent scientific advances in CTE diagnosis, however, these players, who are generally in the newly-diagnosed or pre-diagnosis stages of CTE, may still be eligible for workers’ compensation, because the NFL allegedly not only did not address the epidemic of head injuries (thus breaching its duty), but withheld information on its scope, which may be labeled as acting in bad faith by the relevant district court. As of this writing, no formal settlement has been reached. While football is the most common way to develop CTE, any repeated head trauma may result in a diagnosis. If you are in a similar position and believe you have been overlooked, or if you need help progressing your own workers’ compensation case, the knowledgeable Orlando workers’ compensation lawyers at the Hornsby Law Group are available to assist. Contact us today to set up an initial appointment.